Thrill seekers certainly got one this weekend at Six Flags Great Adventure in Jackson when one of its rides stopped nearly 100 feet in mid-air suspending 10 riders. 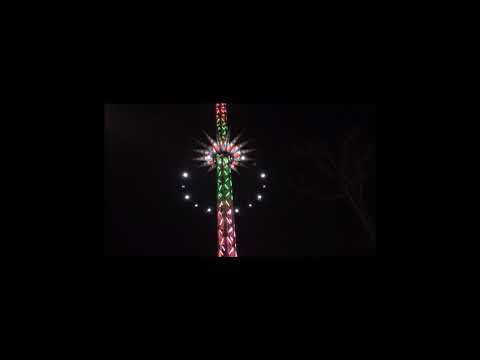 "Get me out of here," yelled one of the SkyScreamer riders in a video obtained by nj101.5 , showing the ride being lowered to the ground from more than 10 minutes Sunday evening. An amusement park spokesperson said the ride's safety sensors detected an error initiating an emergency stop almost halfway up its 242-foot tower. No injuries were reported. The SkyScreamer is located at several Six Flags theme parks and carries riders in two-person swing-like chairs attached to a rotating gondola.